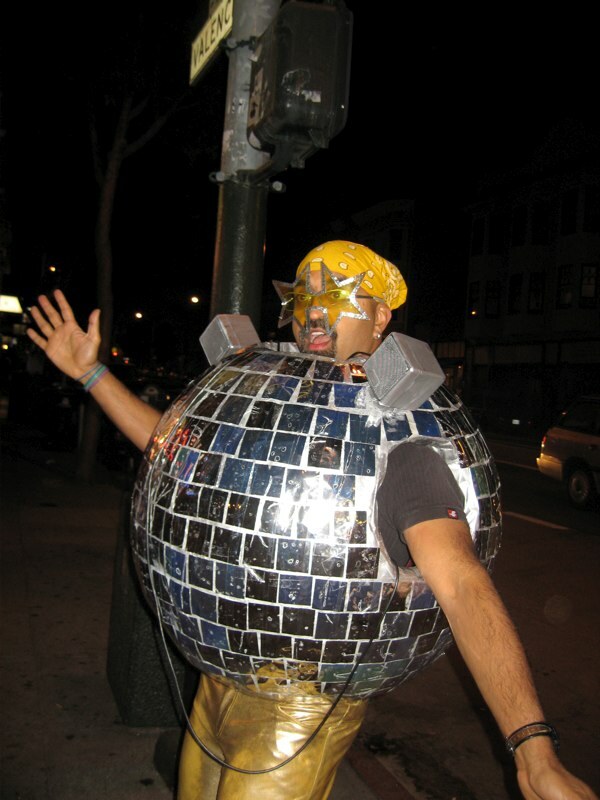 » Halloween 2010: Disco Ball 5.0! Home » Halloween » Halloween 2010: Disco Ball 5.0! I start wondering what costume I’ll do for Halloween since it’s my favorite holiday. 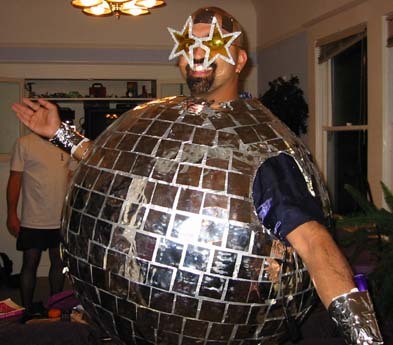 People from all over the interwebs find my Disco Ball costume online, and start emailing me for advice on how to make one for themselves*. In response to 1, I always have to do something that makes me happy. That usually means it has to have high production values, it has to be ambitious, and it has to “wow” people. Ideally, it is somehow interactive, and even more ideally it is something I can wear on my bike**…. 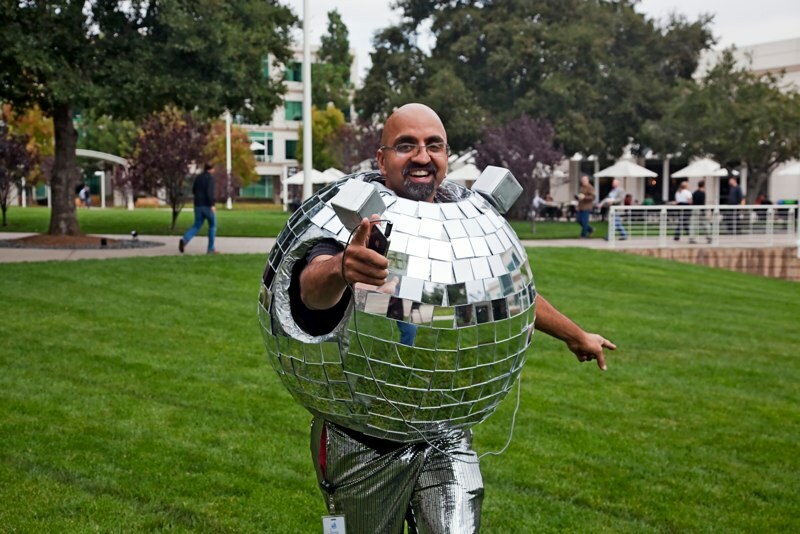 The Disco Ball costume has always been one of my favorites but, but it seems to be far and away everyone else’s most favorite (as seen from items 2 & 3 above.) People just respond to DB more than anything else I ever do. Maybe it’s the built-in sound system, maybe that it is such an iconic thing, or maybe it’s just how much fun I have while in it :-), for whatever reason, it’s what the people want! In any case, every once in a while I realize a way to make it better and that usually sets me about making a new version. 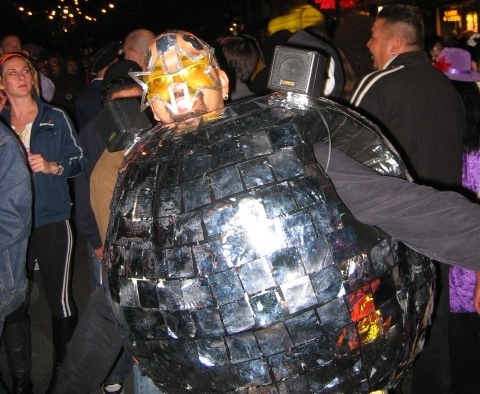 There was the initial “I’ll be a disco ball since I’m bald” 1.0 version, then there was 2.0, the first body sized version (paper maiche), then there was 3.0, the first attempt at a sturdy version out of foam, then there was 4.0 – the new and improved sturdy version. 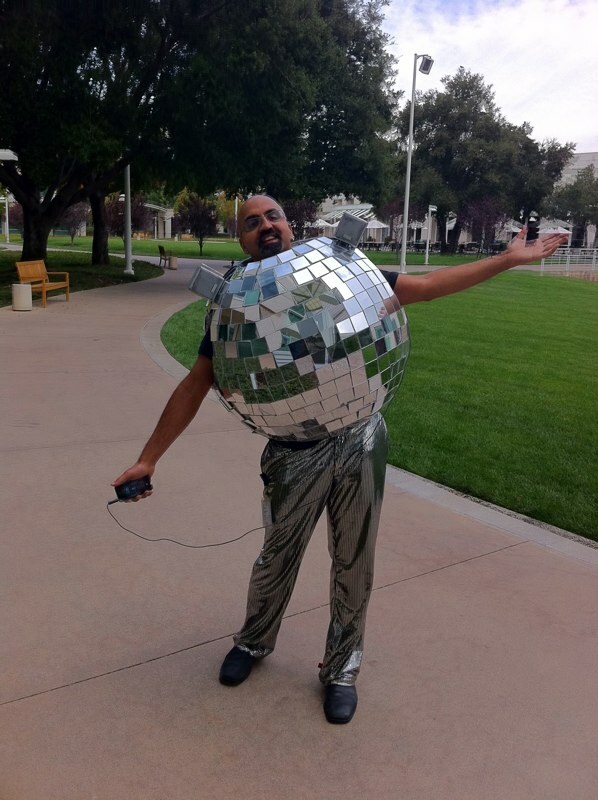 I was crazy happy with Disco Ball 4.0 when I made it & figured that was as good as DB costumes would ever get. There was one really obvious problem with it though: the mylar squares I used didn’t look quite “disco ball” enough. The fact that they lay more or less flat on the curved surface of the ball, kept it from being perfect in my mind. The only solution I could think of was to buy real glass mirror squares, but that would be ridiculously heavy and even more ridiculously expensive, so mylar it was. But recently I realized that instead of glass, I could use plastic mirrors & that my local plastic supply shop, TAP Plastics must carry them (no matter what I’m doing for Halloween, I always seem to end up at TAP for something!). On top of that, I could reuse the ball from 4.0 since I was very happy with it & my costume would be EASY to make for once! Woo hoo! 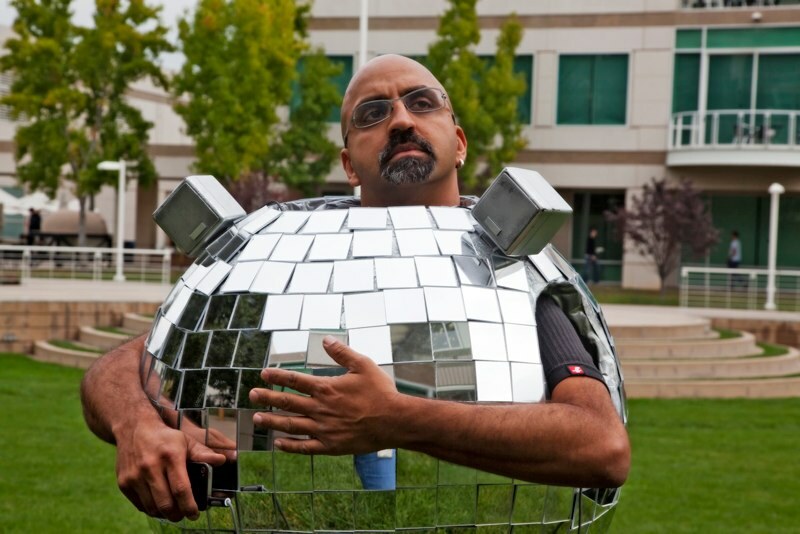 This year there would be a Disco Ball 5.0! 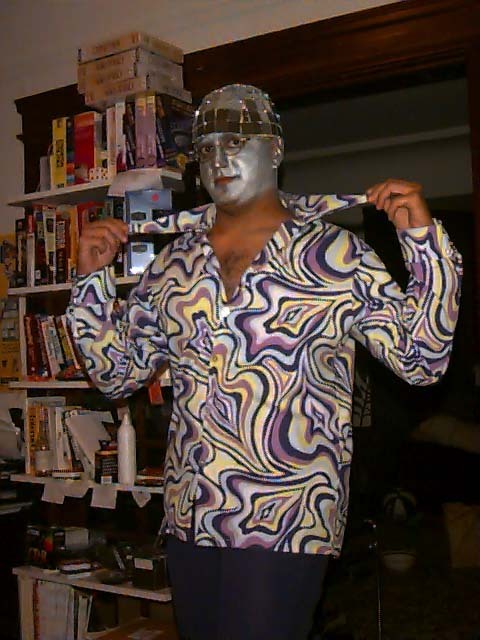 But at this point, there was no time to do another Halloween costume & I did really want to make the ULTIMATE Disco Ball costume, so I ponied up. I ripped off the old mylar squares, and glued on the new tiles one by one (using special mirror adhesive so as to not ruin the mirrors themselves), made some internal improvements to the speaker mounting system inside the ball (added straps to hold the components in better) and voila – Disco Ball 5.0 was ready for the world! 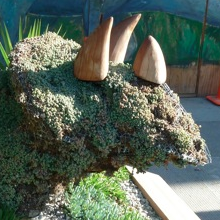 and here is another excellent one– nice work Jennifer!. Update 7/2014: Just got another email from someone who followed my instructions into the land of Disco Ball madness & hers looks awesome. Great Job Raneen! I love the mirrors! AND THE PANTS !!!!! Where did you get the mirrors? And using the mirrors does this make it heavy? does it hurt your underarms if the edges of the mirror sharp? And the pants by far look awesome with it…Where did you get the pants? Hey Deep, Thanks for the shout out. You definitely made my night when I saw you walking – or shall I say dancing – down the street. Cheers! 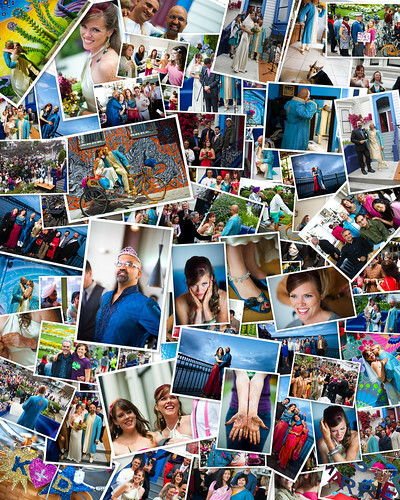 You looked awesome! Disco ball 5.0 rocks. Thanks for the shout out. 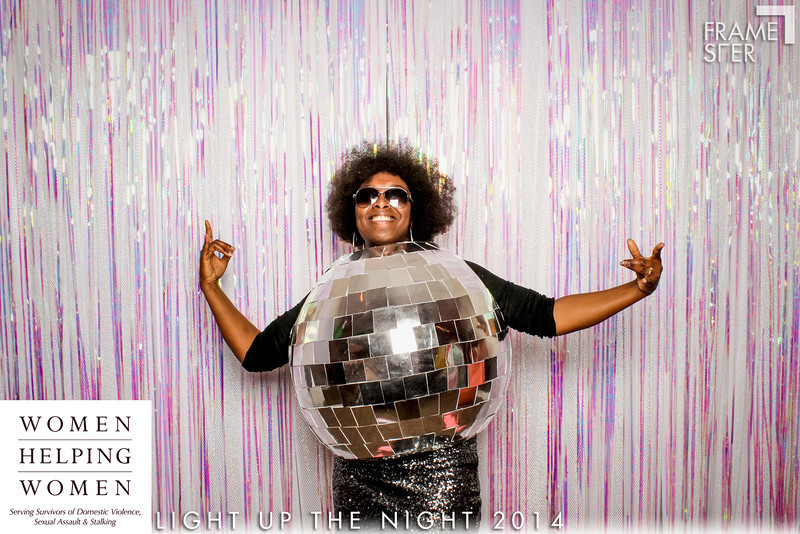 I thought I looked good, but then I saw disco ball 5.0 and I am determined to step it up next year! PS: You have some great dance moves Deep! I have a disco cart and I put passengers on it often. That would solve your critical mass ride problem! I push it using Rollerblades. I responded to your Youtube video by sending my halloween video. Got a disco mirror ball skull on top of my disco cart with a 12 volt battery powering lights and sound system. But I am on the other end of the continent from you unfortunately! Is it possible to get the ball to be bigger as in hitting to the mid thigh level for a full sized adult? As long as the balloon blows up that big, yes. I think it would work. The problem is that if it was big enough to go to my thighs, it wouldn’t fit through a door. I’m 5’10”. How tall are you? So babe…you want to make some of your investment back? I’d so buy one from you. I mean, I am Disco Vinnie after all. I’ve been plotting to make this for several years. The plans are on my desk!